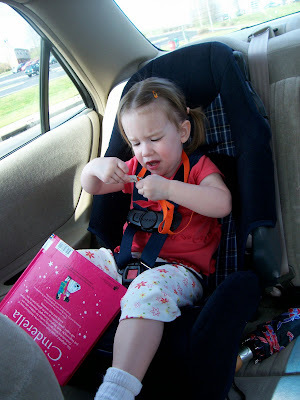 She loved her library card, but wanted to hold it and take it off of the lanyard...not a good idea! 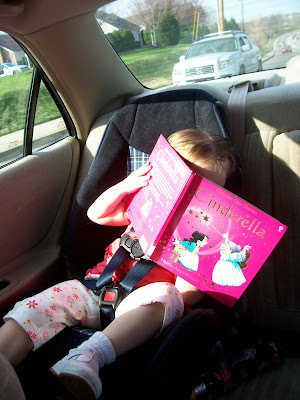 After the library, reading her Cinderella book in the car. 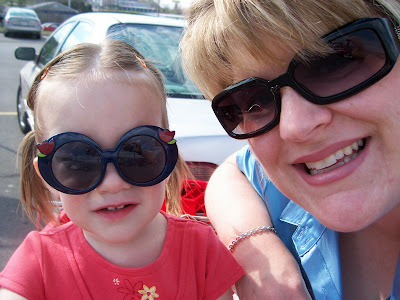 Both of us in our sunglasses. First stop...Target. 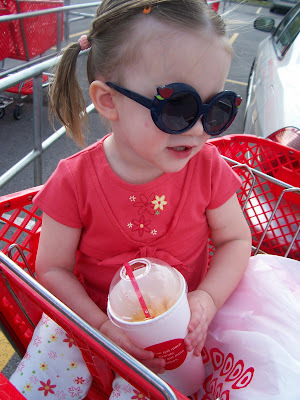 She was looking for the 'red circle', we bought an icee treat! 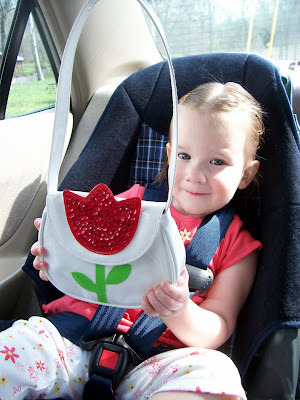 Sporting her new purse she got for her birthday...every girl must take her purse! We had a good afternoon for our first adventure. We started at Target and went on the the library. I didn't think how difficult it would be to keep up with a 2 year old in the library, you know with all of the bookshelves to hide behind and run around! When we first went into the library I had to sit for a minute to fill out the paperwork to get her a library card. She kept saying, "library, lots of books"...not in a quiet way. I told her to whisper in the library, a concept foreign to a two year old. 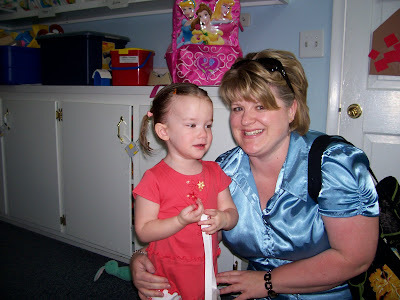 Once we had our library card (which she loved) we went to the children's books. She loved the bookshelves and pulling them all out. Meanwhile I had my purse, her purse, and a bag for the books. I was frantically trying to not 'cause a scene' and of course saw a student from my school there. So he can say he saw Ms. Maze and she didn't have control of her child in the library. Once Maddie got comfortable, she figured out that the bookshelves made a great hideout and obstacle course. So, now I have about 15 books in my hands plus the aforementioned items and am trying to "catch her". I thought, if I run towards her, she'll go further away so I just try to watch her peak around each corner. Now, I'm thinking I got to get out of this place before I get kicked out! My child is running and disturbing others in the library. Not good! 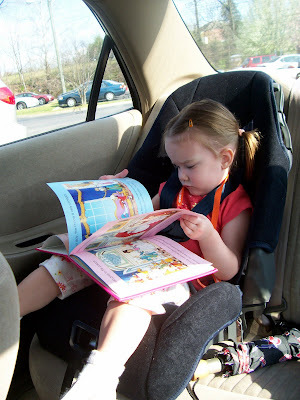 Finally I catch her, we check out our books and we are in the car! I'm making a game plan for next week! I will conquer my fear of public places with a 2 year old!! !